Need Some Help With TWP Stains? 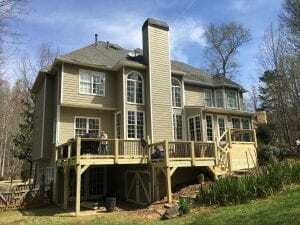 We are here to help you with your TWP exterior deck or wood restoration project for 2019! 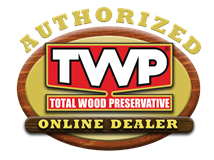 TWP is an advanced wood preservative registered by the EPA. Performance and longevity can vary though depending on the wood type, how the wood is prepped, the age of wood, and how the TWP is applied. We want everyone who has decided to use TWP 100, 1500, or 200 Series to have the best possible results. Is the wood new or older than 1 year? Has the wood been stained previously with a different brand? Please specify brand name and type of stain used: Examples: Solid stain, Semi-Transparent Stain, etc. 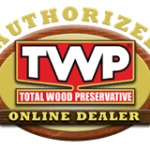 Once you supply us with the information, we will able to give you advice as to how to prep your wood and any needed instructions for the TWP application. Please ask your questions in the comment area. I have pressure treated deck with 3 year old solid Cabot’s dark brown stain. I have pressure washed it with plain water. I read that you can’t remove solid stain. What do I do? I just ordered a 5 gallon pail of the dark brown today. You will have to power sand off the Cabot Solid Stain. 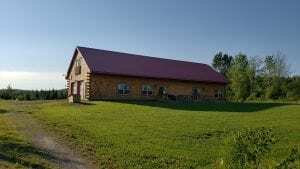 I have a lodgepole pine log home in Washington State about 10 years old, previously stained 2x with TWP 100. Time to stain again. I used a mix of cedartone 5 gallons to 1 gallon dark oak. I plan to do something similar, but I am considering using the 1500 series and would like to know if this would be an improvement. Thanks! It would last about the same if you switch to the 1500 Series. Maybe slightly better UV protection but you will still need to redo every 5 years or so. Would it be advisable to sand the old finish down clean it and then brighten. The wood from the old deck is in good condition but needs some TLC. Would sanding mess up the stain job? Sanding could hinder the TWP’s ability to fully soak into the wood grain. Should I be using 1500 for an older deck? Yes, it works well for older wood. Can I return the 5 unopened gallons for the 1500 ? The 1500 will not last any longer than the 100 for your deck. If you want to switch, you will just have to cover the shipping costs back and forth for the exchange and the difference in price for the stain. Can I stain my new cedar deck that is kiln dried already before I put it down. I stripped and stained my cedar deck last year with your product…I believe it was twp1500. It came out beautiful. But I notice this year there are dark streaks on some boards. If I use your cleaning product will that take care of them without me restriping and staining???? Hard to say as it depends on what the streaks are. Best to post a picture. One we used last time for this same deck – was probably TWP 200 series – yes it has been few years. Can you please suggest which TWP product we should use on this same Deck? Can TWP Stain be used on Ipe or Mahogany type woods? If so would the 100 or 1500 be a better choice? My deck is at least 15 years old and the boards have some cracking. I have been sealing with Anderson’s Sealer (CA oil based) each year specifically made for Ipe wood but it does not seem to last too long (the color fades within 3 months). Any suggestions are greatly appreciated. Yes, you can use TWP on IPE. One coat only. Most use the Rustic color. The series to use is based on what your state allows. Make sure to prep by removing any previous coatings. IPE and hardwoods will require annual coatings. 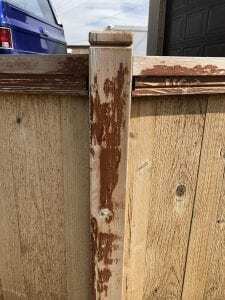 I live in Southern California where we get plenty of sun, and I plan on applying TWP stain to both sides of a newly built all cedar wood fence (new wood) that was built 4 weeks ago. The wood has never been stained or treated. I would like to stain it with cedertone colored stain. My fence run is 110 feet and is 6 feet high. First, how many gallons of stain is recommended for the job? Second, which cedertone stain do you recommend (ex: 1500 series)? You can only use the TWP 1501 Cedartone in CA. After the wait and prep, you will need about 6-8 gallons for the 1 coat on new smooth wood. If the wood is rough sawn, you do not have to wait and prep and you can stain now but you will need two coats. About 10-12 gallons. Clear will gray naturally. TWP is a penetrating stain so it does not peel. Tinted colors will last about 2-3 years. Yes on the prep. It should be okay to do now. I used the Restore-A-Deck system last year on an 11 year old cedar deck. (It had previously been power washed and stained with TWP.) It is cedar, has a southern exposure and I live in Eastern Nebraska. What process should be used now and which TWP, 100 or 1500 do you recommend? Prep with the Cleaner/Brightener Kit and stain with TWP 100 Series. Hi. I’ve got 2 year old cedar fascia and a garage door that I used an oil-based stain on (I think it was superdeck). As you can see, it’s gotten beaten down by the sun. How do I proceed? Strip, brighten, and stain? I live in California. Thanks. Thanks for your reply. I’m worried about splatter of the stripper and brightener on the white stucco. Will either the stripper or the brightener stain the stucco if I have an accidental spill. Can I sand down the cedar instead? 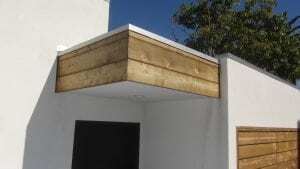 It should not harm the stucco. We are an online dealer in SE Michigan. We can ship to GR in 1-2 days. Can TWP 1500 be applied over one coat of Thompson’s Water Seal after 12 months ? No. Just strip and brighten the wood and then you can use the TWP. Pressure treated pine wood deck. Planning to seal for 3rd time with TWP 101. After using clean and brighten kit will I need to apply two coats of sealant? Depends on how the prep goes. If the prep removes down to the bare wood, then 2 coats. If there is still an intact coating of TWP left after the prep, then apply 1 coat. The difference will be related to the current condition of the TWP on the deck now. 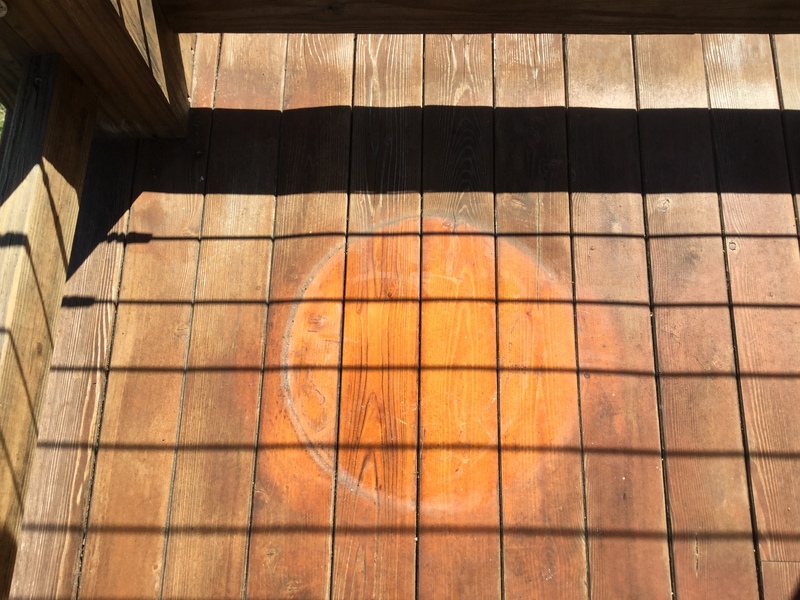 What kind of semi-transparent stain to put on an eighteen year old pine deck? We live near Houston, Tx where our summers are hot and humid. Thank you. TWP 100 Series. Make sure to prep correctly first. I used twp 1501 on my properly prepared deck this weekend and the weather forecaster was wrong and now i have water spots from rain. How can i get rid of them? Deck is still tacky. 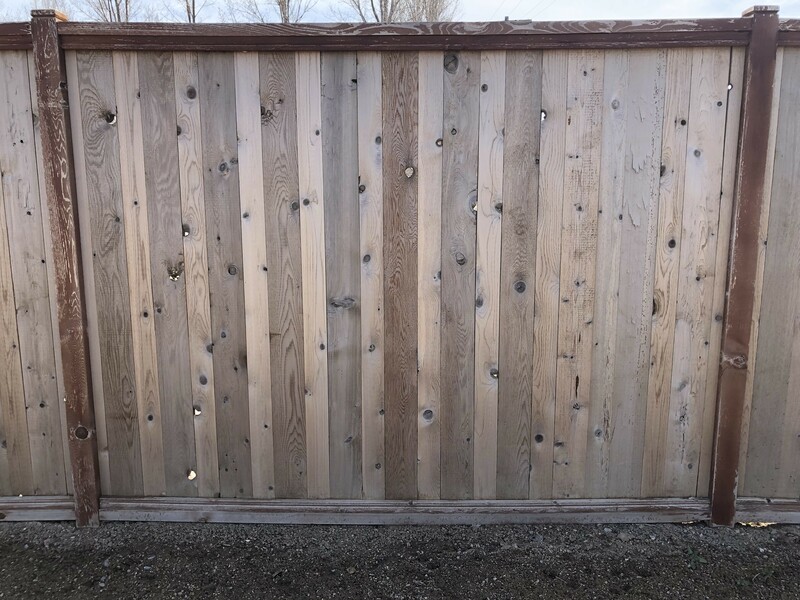 We have a cedar fence that was installed about 3 years ago. We never treated it. We power washed it to ready it for stain. Is that sufficient? Also, we have a PT deck that has weathered for over a year and understand that we need to clean and brighten before staining. We have some very old containers of cleaner/brightened in garage (never frozen). Is there a shelf life? Thank you. Love your site. Very informative. Attached is a picture of my my cedar deck after one season. I used TWP 1516 Rustic. Prepped the surface as directed. Wood was 9 months old. This section gets direct sun and is the most heavily travelled. Other deck sections that receive less or no sun and not much foot traffic still look pretty good as do the vertically rated surfaces. Love the color and how it looked after application but what did I do wrong? Just ordered more 1516 and cleaner and will try again. Hi! 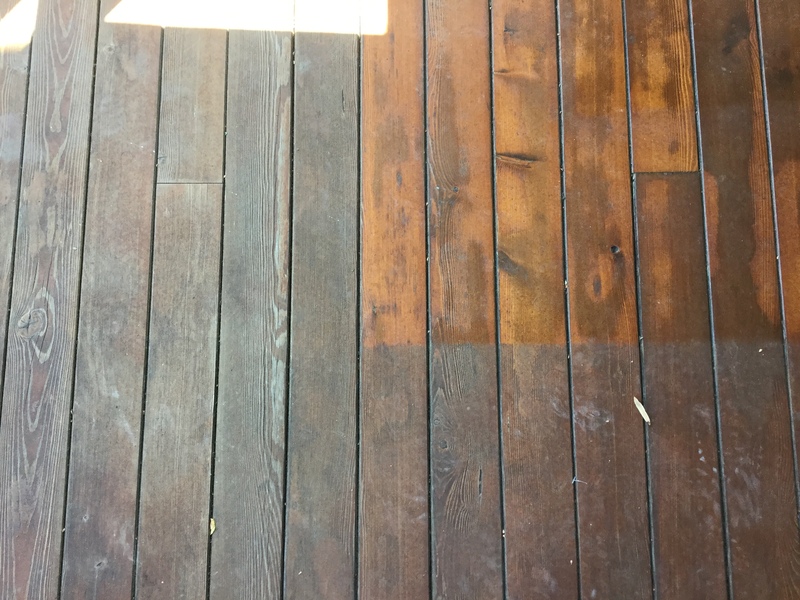 Please help me decide which stain is best..I have a 2 year old cedar deck and want to bring out the best results and have dogs with nails that will use the deck everyday. What do you recommend as to the care before and the stain to purchase? I also live in Minnesota if that matters..Thank you! 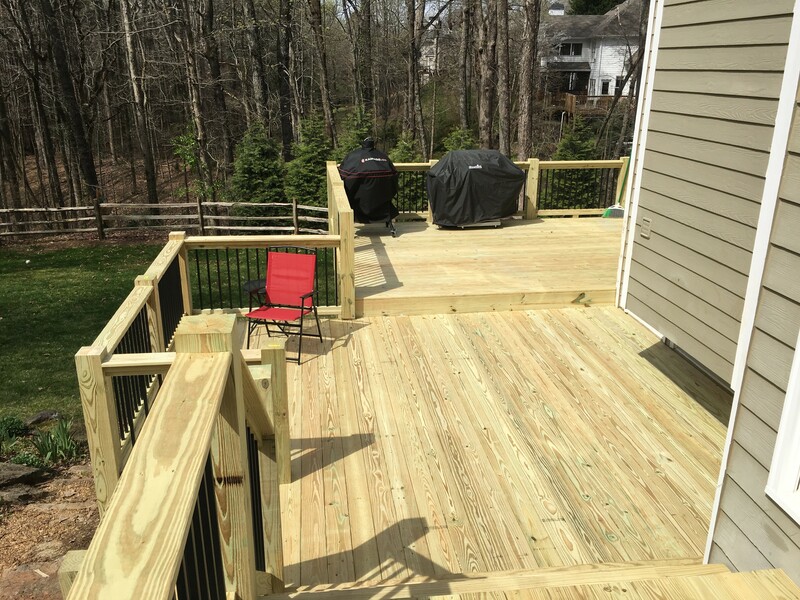 I put in new decking with pressure treated pine June 25, 2018. I let the deck sit all summer (Michigan). I cleaned it to remove the mill glaze, rinsed profusely, then made sure it was dry. I stained, one coat with Cedar TWP100 October 15, 2018. Now, even when dry, my deck is very slippery to walk on. Disappointed. What do I do? I applied twp 101 cedar tone 3 years ago on a green treated deck and plan to reapply same color on my MN deck. Can I just do a light power wash before staining? Or what prep should I do? Can I mix 1501 Cedartone & 1503 Dark Oak together to end up with a color between the two? I’d like to end up with a stain a little darker than the Cedartone & a little lighter than the Dark Oak. Yes, you can mix colors together! I have a composite deck built in 2000. It is a very faded dull gray. We want to put some life back into it and saw your product. 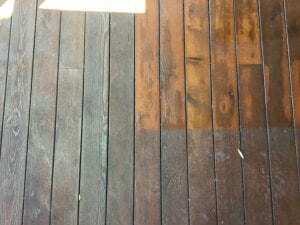 Can I stain the gray deck with one of your color stains or should I choose your gray stain. We would prefer not to do the gray if possible. TWP is not designed to be applied to composite decking. Behr is an acrylic filming stain that is prone to major issues with peeling and reapplication. Do a Google search for “Behr Deck Stain Reviews and Ratings”. You will see and read numerous complaints about. Many videos of peeling. Where you are located does not matter. Still needs to weather. You should be good to stain this deck sometime in late summer. Prep with the Gemini Restore Kit and just one coat the first time. 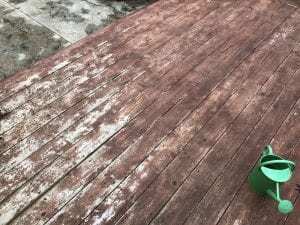 I used the 115 stain last year on my deck. The deck was sanded prior to coating and two coats were put down after one year the area exposed to sunlight looks terrible compare to the unexposed areas. Does this mean I need to re-coat every year? Would send a picture but google won’t let me copy and paste the picture off my phone. Not sure if my previous comment was seen since I haven’t seen a reply. But the problem can’t be related to sanding because the whole floor was sanded with a commercial sander and the only area which looks terrible is where direct sunlight hits the floor. I believe I need the find a stain/coating system with more UV protection (assuming this product has UV protection). Yes, it can be related to the sander as that will hinder the absorption and then the sunny (UV oxidation) areas will cause havoc with this. TWP being a penetrating stain and is impossible to peel as long as it fully soaks in the wood. It can only have issues like this if it was unable to soak into the wood and dries on top of the wood. This is what happened in your scenario and seems to be related to your power sanding as over sanding will reduce the penetration. Here are a couple of pictures to show the difference where sun hit and where it was protected by a rug in the first picture and a planter base in the second picture. Both areas had two coats of stain. Hello, yes those pictures do show an over application as the stain dried on top of the wood to the point it could not soak in. Most likely due to the sanding. That is why you have to wear in the exposed areas. So are you telling that the areas where the sun hits is OK. I think it looks terrible. That’s the issue, not whether it’s sanded correctly. Your telling me that this product is going to look bad every year and there is nothing I can do about it. Thank for the help. So if I strip your stain and power wash, and the stain soaks in as you state, will TWP guarantee the finish not to fade in one year as mine has done? Just a note, I applied two coats because the first coat absorbed so much stain. Stains always fade through the years. This is normal and cannot be avoided. It will not wear though as long as it is done correctly. 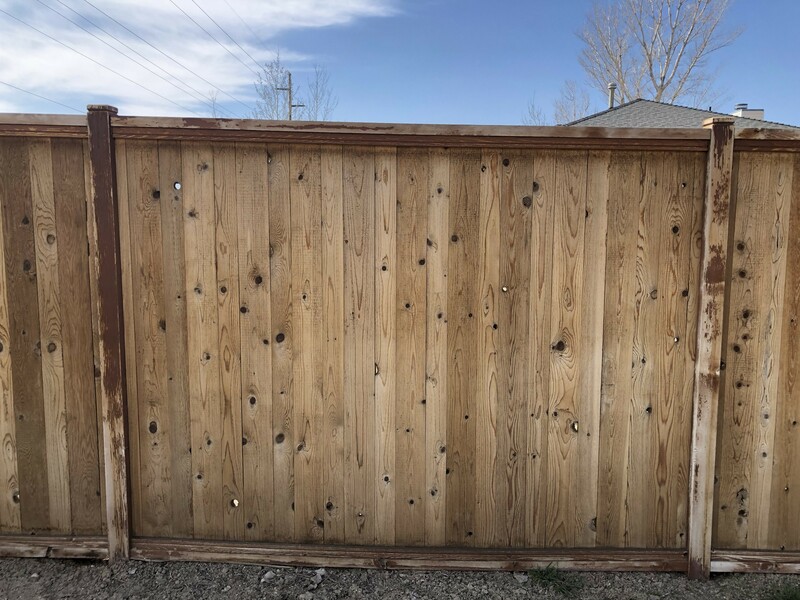 6 foot cedar fence (AC2 posts and rails) completed June-December 2017. Bought the stain (1500 series Honeytone) December 2017, but ran out of good weather. No coating on fence. Any other fence tips, please let me know! Yes, you will need to prep with the Gemini Restore Kit. Use a paint drill mixer to mix the stain or take to a store. I am guessing the people who applied TWP stain did not prep properly. It has been over 20 hours and it is still not dry. Actually still wet in some areas. What do I do? It is 55 degrees and sunny. I have a deck that I have only used TWP on previously. What do I have to do to prep this wood before applying TWP again. 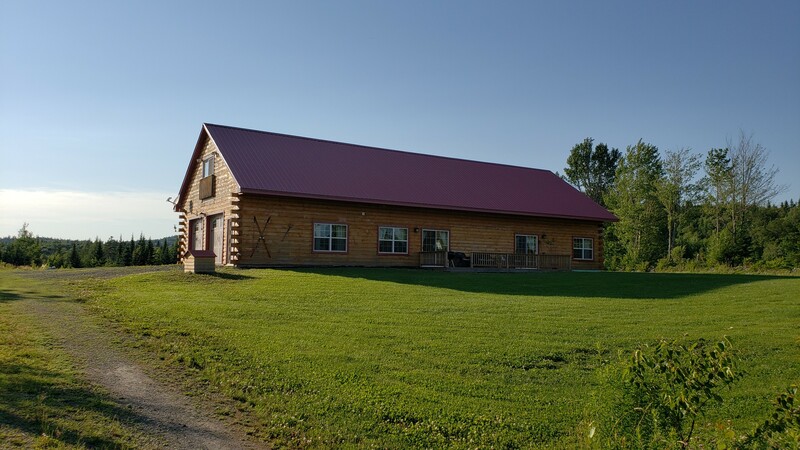 Hello, I have a log sided house (2,190 sq.ft.) located in the upper North Country of New Hampshire that needs to be re-stained. My Benjamin Moore dealer has advised me that TWP is what I want to use. So, my first question is what should I use to clean it? Should I just power wash it with plain water? The weather conditions are very cold and very windy 7/12 months. So my second question is which TWP product should I use? I would be grateful for any information you can provide. I believe the previous owner used Thompson Water Seal. In 2016 we put in a new Cedar fence. We stained with Thompson Waterseal (tinted on railings and post, clear on slat inserts). In 2017 it started pealing pretty badly. We are ready to redo it and want to use quality products. Would you suggest using the RAD Stripper to strip the old stain off then the brightener? After that would you suggest using the 1500 or 100 series? We live in Utah. I have attached pictures of the fence. Strip and brighten is correct. Stain with TWP 1500 Series. Why would 1500 be better than 100 Series? Just wondering. Thanks for responding so fast! Slightly better UV protection for a vertical fence. Last summer I put TWP100 on yellow wood deck that was built several years ago. I used Gemini restore a deck cleaner and brightener and finished with 2 coats TWP100 wet on wet wiping excess as necessary. Should I apply a maintenance coat this summer? Portions of the deck get hot afternoon Missouri sun. If so, should I use the cleaner and brightener same process as for initial application for the maintenance coat? Thanks in advance for your help. No need to do a coat this year. Do it next year. Prep with the Gemini Restore Kit. Use the TWP 100 Series. It is oil based. We do not sell a water-based and this 100 is the best option. TWP is a penetrating stain. It does not film on top of the wood. 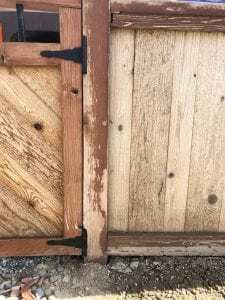 A penetrating stain cannot “lock down” splinters. The reason you do not want a filming stain is that it will peel. 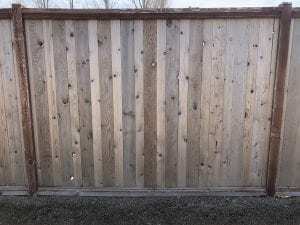 I have a shadowbox style cedar fence, roughly 18 months old and now weathered gray. I never stained it but plan to stain it with the TWP 100 Cedartone. Should I use the cleaner/brightner kit to get the gray out or will just a bleach solution work? Will that require a pressure washer? When using a pump sprayer to apply, do I need to cover my grass to keep from killing it? I used stainless steel nails, will the stain react with those? Yes on the Gemini prep kit. Use the kit while pressure washing for best results. It will not harm grass or stainless steel screws. I used the stripper and brightener on some posts last fall and I have a lot left over, will that work? You shouldn’t use a stripper on an unstained fence. Stripped a Redwood deck last spring and stained with 1500 series TWP, wet on wet. Turned out awesome and can’t wait to see how it looks this spring (once the snow melts!). What do I do this year for maintenance? Thanks much. 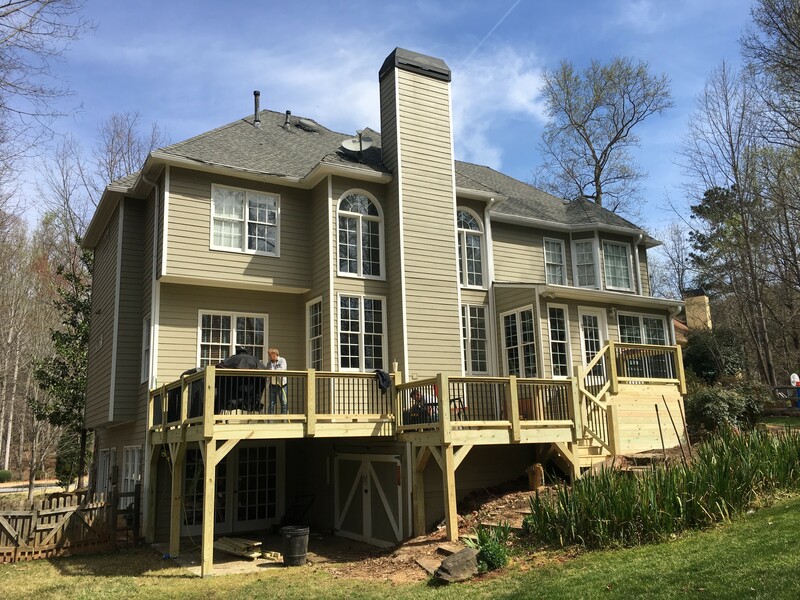 It was so much work stripping this very large deck and I was beyond relieved when I applied your product which made the back-breaking work well worth it. It turned out beautiful. I have a new pressure treated pine deck. I’s now in the seasoning phase. I like the natural color and am inclined to select TWP Natural or Honeytone color. The previous deck got a lot of UV damage (checking, splitting, and splintering). Would a darker TWP color do a better job of resisting UV damage? I have a new pine fence that was installed 3 weeks ago. Live in Charleston, SC. Want to use best semi transparent oil based stain. 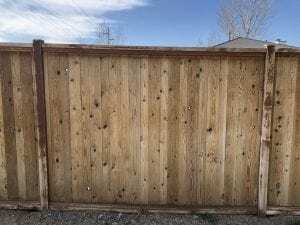 How long should I wait to stain and how best to prep for staining? What’s best stain/sealer? That will answer your questions. Use the TWP 100 Series. We personally do not sell the 300 Series but you can find it by searching for it on the internet. There is no such thing as the TWP 332 Olive Brown though. If you want to switch, you would have to sand the 300 Series off for the prep. Use the TWP 1500 Series after. ready to purchase second 5 gal twp 100 . the first was used on the deck . this one will be used to re-stain log cabin exterior . what is the proper re-staining procedure and how do i get a color match. i believe the previous owner used cedar tone (found a empty can ) but can’t be sure. it seems that the color has darkened. thanks. We are considering using Twp on a 40 year old cedar spided that has never been stained but is in surprising good shape because it is in the forest. If we apply twp can the subsequent owner apply any type ( latex, acrylic….) stain to the house? No, you cannot apply a different brand/type of stain over the TWP. You would want to stay with the TWP going forward or remove it if ever switching brands. We installed new vertical cedar siding and fascia 3 years ago and stained it with TWP 101 Cedartone Natural. Looks fantastic! However the fascia that is exposed to the sun is fading and other areas that are not in the sun are darkening. What is the best method to maintain and refresh it? Prep with the Gemini Restore Kit and apply one light coat. I’m in the midst of refinishing some exterior old growth redwood siding, I have used TWP semi transparent stain in the past. I would like to know what are the compatible wood fillers to be used with TWP stains..? Do you offer compatible wood fillers with every solid-color stain? Semitransparent..? Wood fillers will not work with TWP stains as they are semi-transparent in color. The filler will not “stain” to blend and will stand out looking very blotchy when done. TWP does not come in a solid stain. I used to 1500 last year on my cedar deck, looked great. Now I have a lot of grime and mildew on the deck boards and top rail. I would like to restrain this year using the same stain. Will I have to strip or just use the Gemini restore kit? Gemini Restore Kit for the prep while pressure washing. I have 5 gallons of 1500 honeytone. The color is to light. Can I mix it with cedar to make it darker? Yes, you can intermix colors. You might want to look at Pecan 120 to darken it up though as the Cedartone might not make that much difference when added. I have some untreated wood columns that I’m planning on using to support a cover over a deck. I would like to use twp stain as the preservative for it but I have a question on application. You say to let it weather for 4-12 months before applying the stain, but if I do that, how can I apply the stain to the wood that is covered by the fasteners used to secure the columns? You do not need to. Only need to apply where the wood is exposed to the elements. *We ship direct to all 48 States via UPS/FedEx Ground with all products in stock for immediate shipment. TWP Stains must ship Ground and cannot ship faster due to National DOT laws. The Official Help and Advice Site for TWPStain.com! Free Shipping On 5 Gallon Pails Of TWP Stains: Click Here to Order TWP!